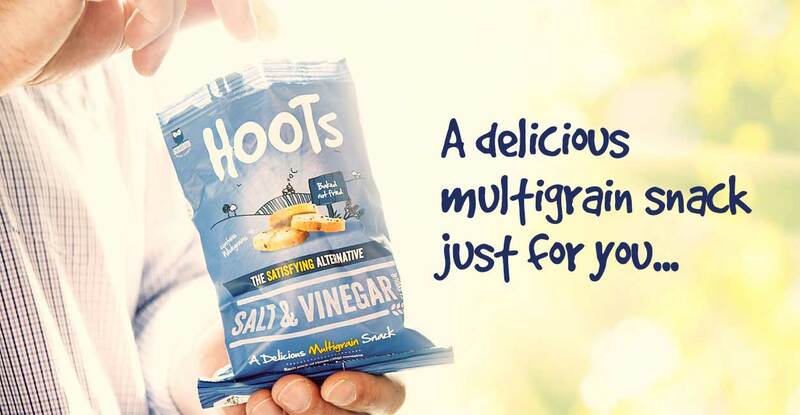 We have flown by to bring you an exciting range of Hootingly good snacks, a delicious alternative to crisps, something to enjoy on the go, break the lunch box boredom or to share with friends. We never compromise on taste or quality and our delicious bite-sized snacks are bursting with flavour. 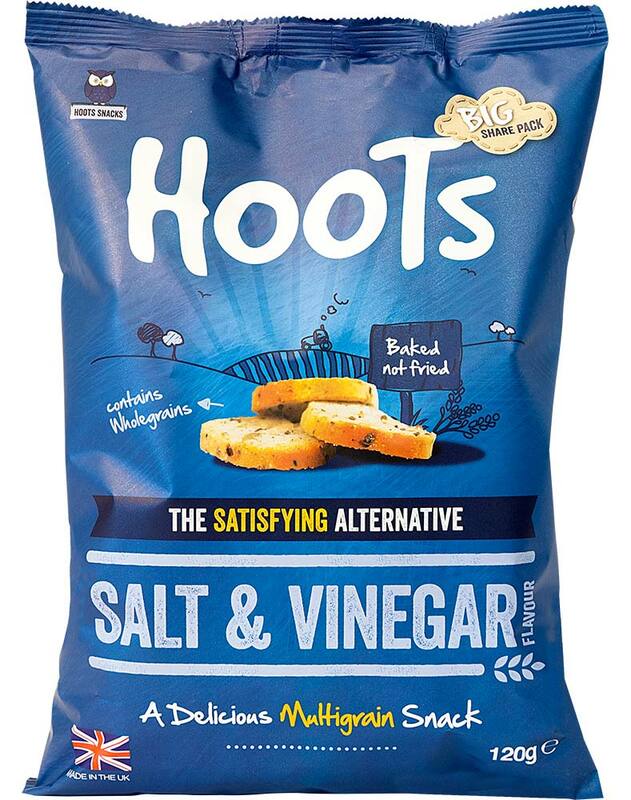 Hoots are baked as opposed to fried and lovingly made with a mix of wholegrains and seeds for a more satisfying eat. Available in five fantastic flavours, and all suitable for Vegetarians & Vegans, swoop in to view our range of multigrain snacks. 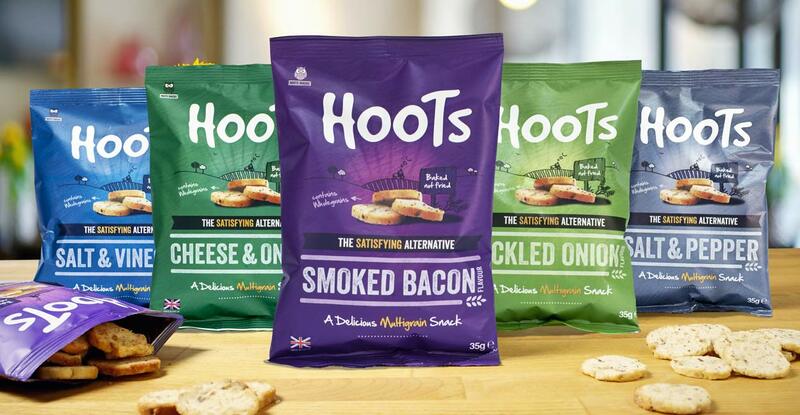 Did you know: It’s owl-right… there are no artificial colours, flavours or preservatives in any of the Hoots range. 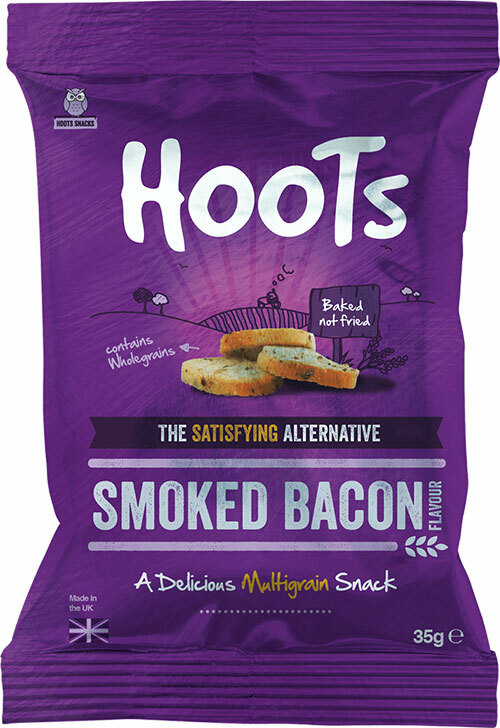 Available to buy in 5 fantastic flavours, a healthier alternative to crisps. Don’t keep them to yourself, share them with your friends! 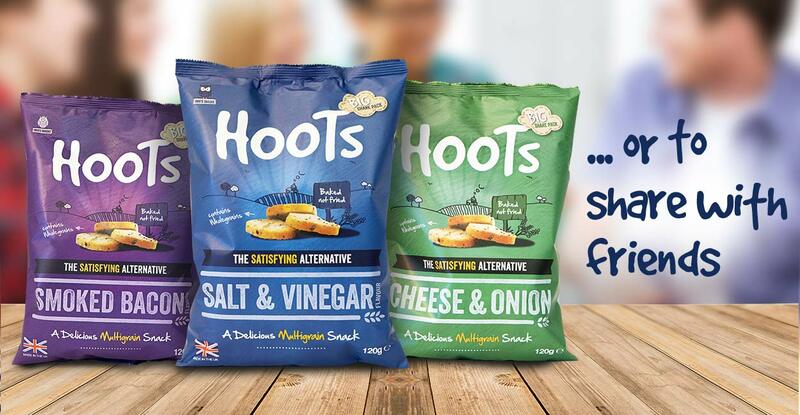 Hoots 120g share bags are available in 3 great flavours.